Plans for the renovated Union Club Hotel include an updated atrium and entryway. 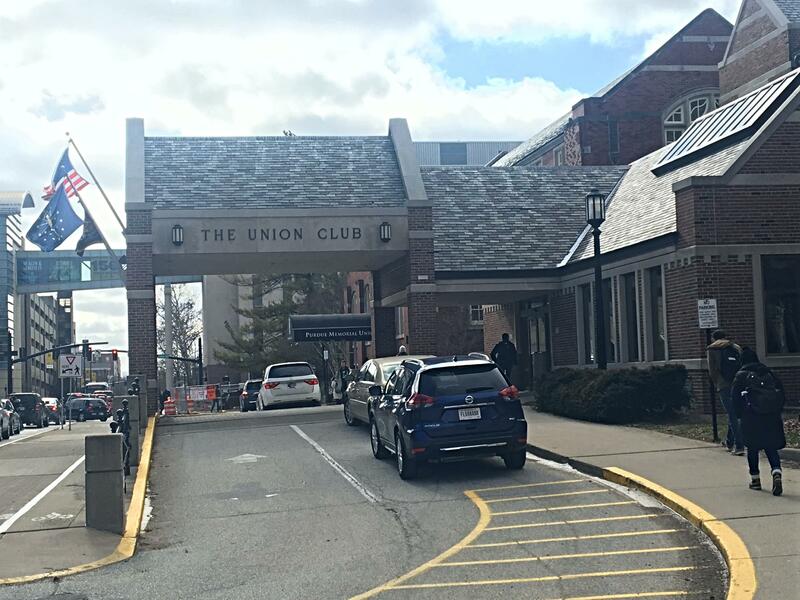 Purdue’s Union Club Hotel will close this summer for renovation. The Purdue University Board of Trustees approved the decision Friday. The renovations, projected to cost $35 million, will start in June and last a year. The renovation plan calls for adding a bar and restaurant, and enlarging some of the hotel rooms to suites. Purdue Vice President for Administrative Operations Michael Cline says the goal is to make all the changes at once. During construction, all of the building will be closed except for the ground floor in the student union. Trustee Gary Lehman says people will still be able to walk through the building, and the project will work to preserve its history. Funding for the renovation will come primarily from donors, including a $30 million donation from former trustee Bruce White and his family. White’s company, White Lodging Services, is under consideration to manage both the hotel and restaurant. The hotel will be open for occupancy again in August of 2020.